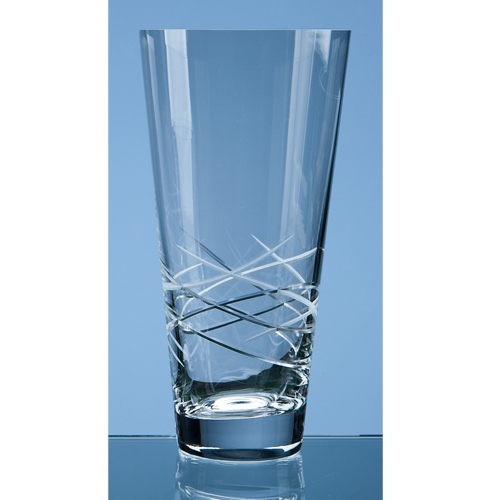 The contemporary style of the 25cm Tiesto conical vase is enhanced with a stylish cut pattern around the base of the vase. There is a large engraving area that can be personalised with any crest, logo or wording to create a gift that is sure to be treasured by the recipient. The Tiesto vases are available in 4 sizes making them perfect for 1st, 2nd, 3rd and 4th place competition prizes.